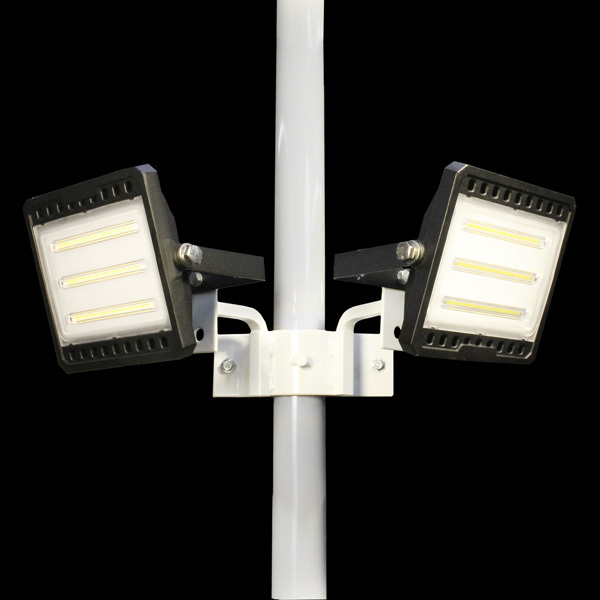 Our Pole clamps is a cost effective, simple and streamlined way to mount a variety of lighting applications to center poles. These clamps are designed for use with our mounting arms (see link below). All parts are powder coated white and blends seamlessly into the canopy top and provides for a professional and attractive looking installation.